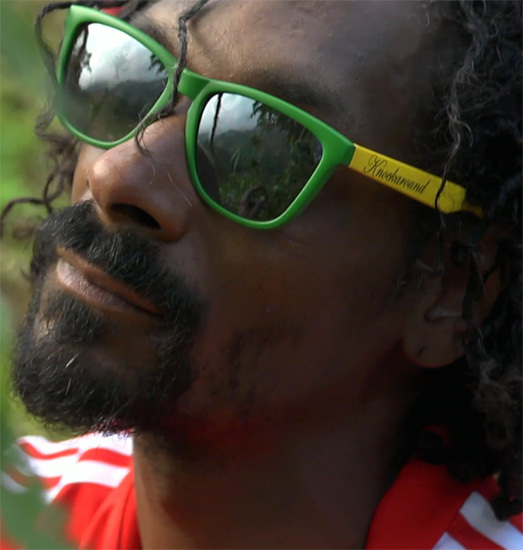 Snoop Lion (aka Snoop Dogg) wears a pair of Knockaround Rasta/Smoke Premium sunglasses in the documentary Reincarnated (2013). Snoop Dogg has been wearing the glasses also on several events related to the documentary (see more sightings on the Knockaround Blog). 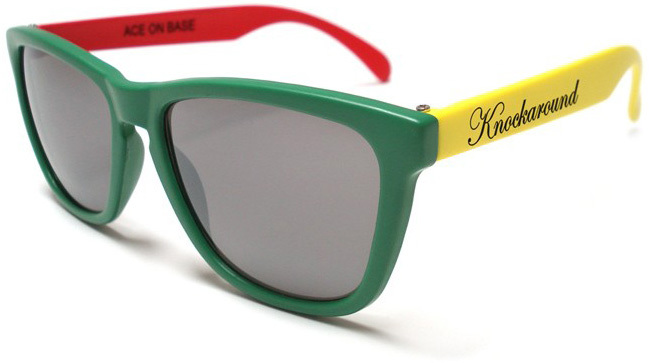 The red, green and yellow colors of the glasses refer to the Jamaican and rasta colors. The Knockaround Premium models utilize a classic sunglasses design and provide crucial UV400 protection. Each pair is marked inside the right temple with the Knockaround mantra: ACE ON BASE. The glasses come in a doft green Knockaround case. And they cost only $14, available on the Knockaround website. Snoop Dogg has also been spotted with matte black Knockaround Fort Knocks sunglasses.